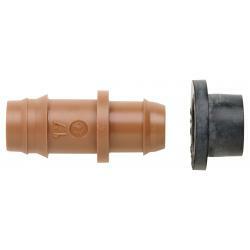 Use these high quality Hydro Flow Garden Hose Adapters to connect your garden hose to your irrigation tubing. 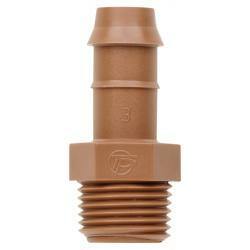 Our complete line of fittings is known for its superior performance and reliability. These non-corrosive plastic fittings are guaranteed to provided a secure, watertight and airtight connection. 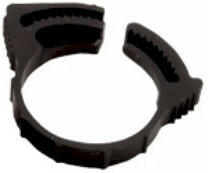 These fittings offer strength and durability. 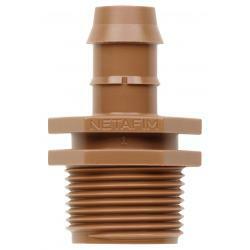 Hydro Flow /Netafim's 17 mm insert adapter is used to bring a dripline out of 1-1/2 inch or larger PVC pipe. Simply drill a hole in your PVC using the Hydro Flow /Netafim drill bit, insert grommet and insert adapter fitting into the grommet.